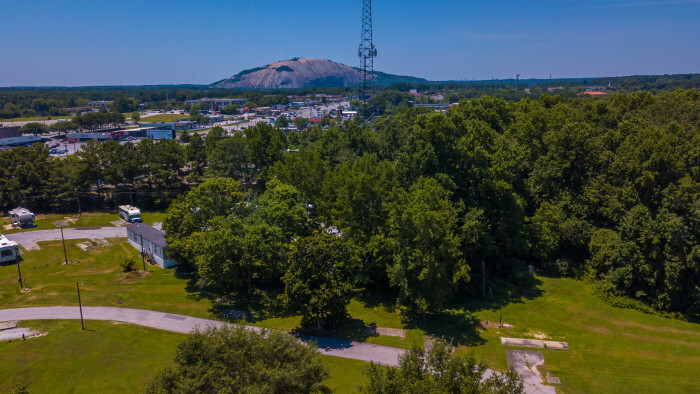 Ask fellow campers about "Stone Mountain Heights Mobile Home Park" and nearby attractions. Stayed a month in this RV park. The office staff was very kind and provided clear directions on how to maneuver the park roads to my site. The site was level and had an elevated patio which was perfect for my RV. The patio was old and had broken concrete but it was very good to have when it rained. The park is quiet despite being close to a major roadway. Wi-Fi - very good signal T-Mobile - 4 of 4 bars. Electric - no issues Water - no issues Sewer - no issues Satellite - no issues. We camped at Stone Mountain Heights Mobile Home Park in a Motorhome. Chick-fil-A and Dunkin Donuts/Baskin Robins (24 hours) are located very close by which made it convenient for morning and afternoon hunger strikes. Close to Stone Mountain and Atlanta! Quiet, spacious sites, (not much shade). Friendly professional staff. 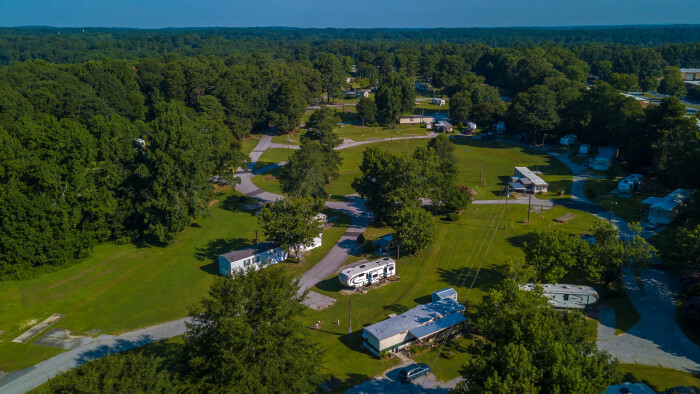 This former trailer park is primarily an RV Park now with nice level sites, quality utilities (high water pressure-bring a regulator), We camped at Stone Mountain Heights Mobile Home Park in a Travel Trailer. Look for a shady spot! Bring a water regulator! This not a campground for campers who are looking for activities or amenities. It has no restrooms or showers, no meeting rooms, and no planned activities. But it is a great choice for someone looking for a reliable full hookup and a quiet place to stay in a commercially busy area. The park is very large and spread out but has a limited number of sites available for transients. There are a substantial number of permanent residents but also many unused potential sites available for improvement to a level where they could accommodate a unit. While not at all a typical RV park, we enjoy staying here. It provides a nice site in a good location and plenty of space. Since we are full-timers who are self-contained, we do not require the showers or other amenities. For us, this is a high rated park. We camped at Stone Mountain Heights Mobile Home Park in a Motorhome. We were here for a month while receiving medical care at Emory. The managers are pleasant, kind and easy to deal with but work on a limited schedule. The park is a mixture of full time mobile homes and RVs passing through. No bathrooms, store or playground. Pool closed in Sept. The roads were recently repaved. Our site was level. It was quiet even up front. Water pressure is high but we always use a regulator so no problem. WiFi good at our site. Lots of restaurants and shopping in walking distance. Not scenic but clean, safe, tidy and pleasant for walking. Thankfully they enforce poop scooping for pets. Would stay again if in the area. We camped at Stone Mountain Heights Mobile Home Park in a Motorhome. 5 minutes from Stone Mountain Park. US 78 takes you into Atlanta, about 25 minutes to Emory and Decatur area. Park needs updating. Roads are paved but rough. Pool is open May to Sept. we had a pull thru site and it was level but I saw other spots that weren't. Concrete patios no picnic table at our site. Roomy spots. We didn't have to unhook the tow. Stayed one night passing thru. Food, gas, etc near by. We walked to a gas station to pick up a couple things. Plenty of grassy areas for walking the dog. Tennis court in bad shape. We in the back so it was quiet. We camped at Stone Mountain Heights Mobile Home Park in a Motorhome. Run down park with no amenities. We were there in the summer and the pool (which is already small) was closed. Sites are super narrow; we were afraid we would slide off the gravel! And it was not at all level. We have automatic jacks but had to use blocks, so that our wheels were not off the ground. Ugh. It's quiet enough; that is about the only positive I have here. But the folks who run it are nuts when it comes to dogs - actually stopped and harassed us to see if we had a bag with us when walking our dog! 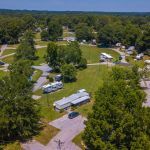 We camped at Stone Mountain Heights Mobile Home Park in a Motorhome. This is a very large and spread out mobile home park - which made for some very nice walks (even though the asphalt roads were in bad shape, it is better than walking on gravel). Our spot was not fancy, a crumbling but usable patio w picnic table. This was a very spacious site - plenty of room, lots of grass and a bit of landscaping. A nice mix of trees and open areas throughout the huge park. We were close to the laundry room, so I did use it. The pool was closed. We were relatively close to the front of the park, but were not bothered at all by the highway noise. Very friendly staff. We would stay here again. P.S. We are not sure if they had restrooms ... did not need them anyway. We camped at Stone Mountain Heights Mobile Home Park in a Motorhome. The folks at Stone Mtn Heights were great!!!!! My wife and I were in dire need a park close to Emory Hospital. The park is only 12 miles from the hospital, and most days it was a 20 min. trip from the park to the parking deck. Park personnel were helpful, and assisted us in any way they could. The park itself is clean and quiet. The sites are very large. Great WIFI. We camped at Stone Mountain Heights Mobile Home Park in a Fifth Wheel. If you're going east on 78 there is no left turn into the park. Go to the Lowes store on the left and turn around to come back. This is a very nice, well maintained and quiet park. 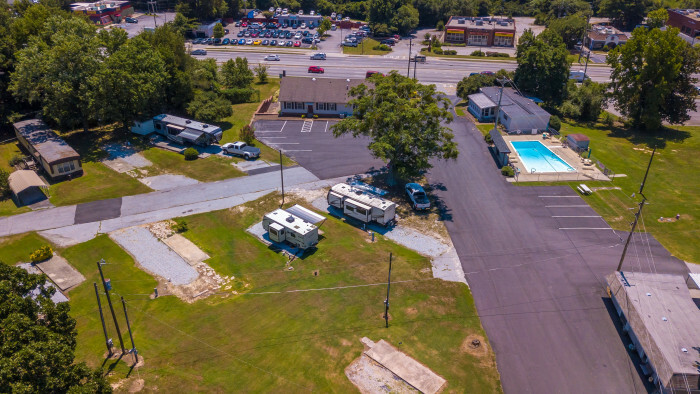 It is a mobile home and RV park, with mobile homes and RV site co-mingling. The sites are nice and wide, there is well established grass and trees, but no trees are in the way of your parking. Every site also has a concrete pad for a picnic table, lawn chairs or whatever you like. There is also a swimming pool to enjoy. 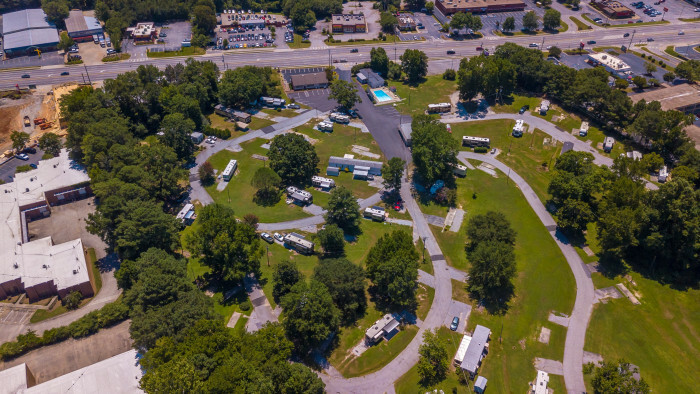 There are very few RV parks in the Atlanta area, but this is a nice one. I highly recommend this park. We camped at Stone Mountain Heights Mobile Home Park in a Fifth Wheel. Only 1 mile from the entrance to Stone Mountain Park. There is everything you may need in very close proximity including a Wal-Mart, post office, grocery stores and numerous restaurants. This is a challenging place to get to if you don't plan your route carefully. Office help gives directions on phone - pay close attention. If coming from west you'll have to get turned around and that will be a challenge. We came in from the east so didn't have to deal with that but the sign for the park is very small and you have to take it slow so be cautious. 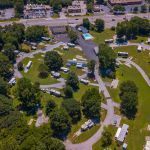 This is a Mobile Home park slowing converting to RVs. Interior streets are paved with lots of, not very visible, speed bumps. Sites are stone, varying degrees of level depending on site, very spread out (spacious). Utilities placed well. Water pressure very high so use a regulator. Wifi available at our site and was fast. Verizon signal strong. Traffic noise from very busy Hwy 78. We would stay here again if in the area. Note: Dec 2015 review must be the other park based on comments made. We camped at Stone Mountain Heights Mobile Home Park in a Fifth Wheel. We got into MLK Natl Historic site in 35 min taking Hwy 78 all the way into city then surface streets. Pros: location, city water. Cons: no bathrooms/showers, no cable, very unlevel sites, dangerously high water pressure. We wouldn't go back. We camped at Stone Mountain Heights Mobile Home Park in a Motorhome. Lots of room. Gravel pads, but they should have used crushed gravel. We camped at Stone Mountain Heights Mobile Home Park in a Fifth Wheel. Easy drive to MARTA to get into downtown Atlanta. Almost next to Stone Mtn. 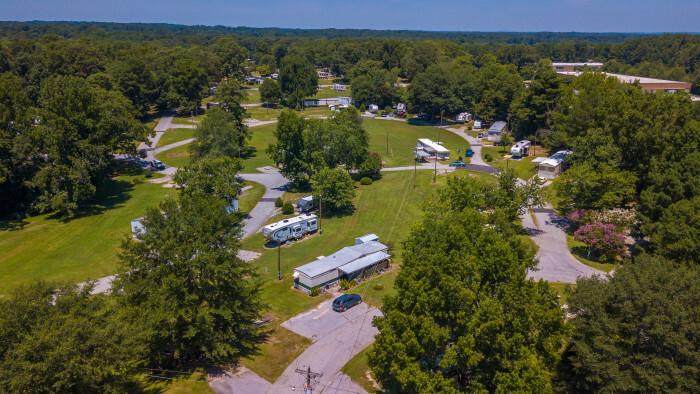 An oasis of grass and trees and walkable roads, the sites are intersperse with permanent mobile homes and trailers. Lots of space between. Clean laundry room ($2.00/wash). Very friendly and accommodating staff. The husband even escorted me to my spot and helped me back in. 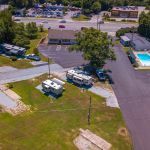 We camped at Stone Mountain Heights Mobile Home Park in a Motorhome. Breathtaking scenery, friendly staff, CABLE TV! !, WiFi!! What more could you want? I will definitely be returning! We camped at Stone Mountain Heights Mobile Home Park in a Motorhome. Nearby Atlanta with a plethora of activities available. Nice park if you need to be near Atlanta. Owner's are nice. Stayed here last year - only a few minor improvements have been made. (Restrooms only available when office is open.) WiFi is free but you have to be in or near office. Since last year most RV sites have new gravel and some of the junk around the park has been removed. Laundary room is old, dirty and has a sewer odor at times. But RV sites are far apart and mobile home residents are pleasant. Rate reflects monthly rate of $550. We would stay here again. 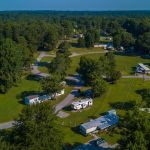 We camped at Stone Mountain Heights Mobile Home Park in a Fifth Wheel. 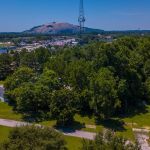 Are you affiliated with Stone Mountain Heights Mobile Home Park ?